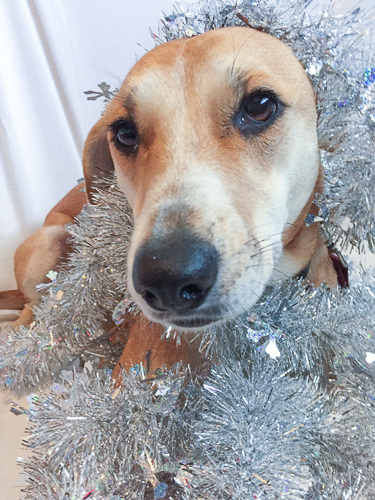 We know, we know… sending out Christmas cards on December 16th — nine days before Christmas — is slightly late. But hey, better late than never right? 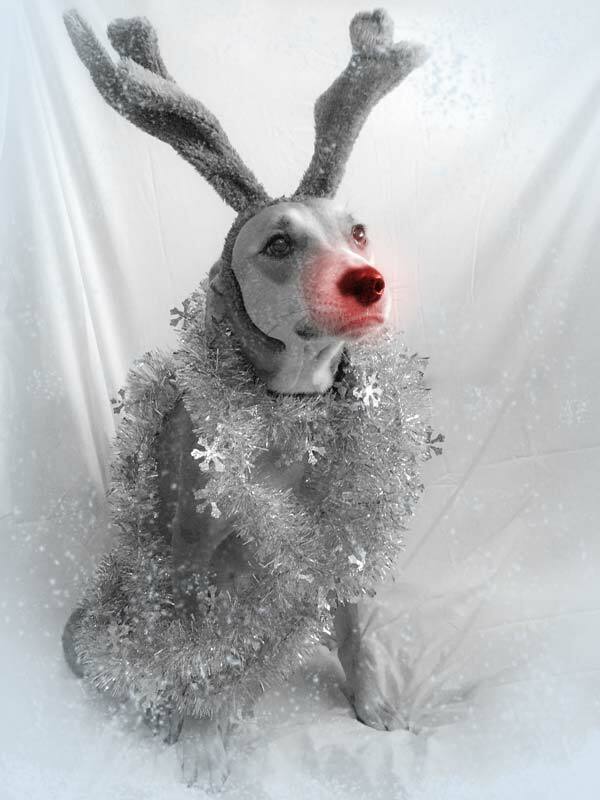 This year we decided to team up with our wonderful office dogs to create our e-card! That sounds quite fun doesn’t it? Well it is much harder than it seems. Luckily, with many treats, we managed to get one of the dogs seated for long enough to take some pictures. 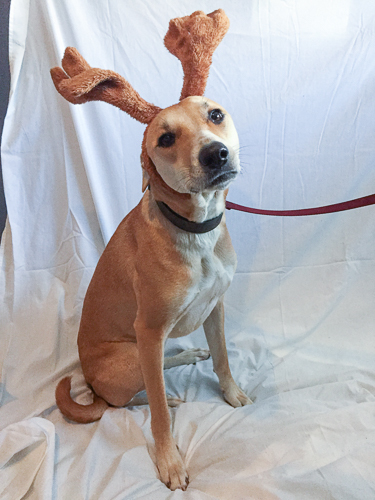 Reindeer antlers and shiny garland were the outfits of choice for the two dogs. 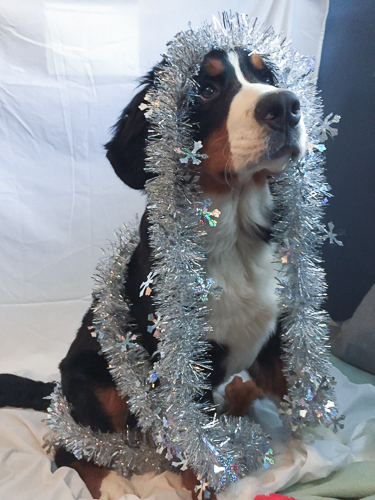 And while Burton did look adorable wrapped up in his silver garland and attempting to eat his antlers, Kira’s picture was the winner. We then added some extras to the photo and ta-da! You have a cute doggie Rudolph. The original idea was to get both dogs in one photo but Burton had other ideas about that. He preferred to move and roll around instead of sitting pretty like Kira. Although it was more of a struggle than we thought to get the final photo, we had fun creating this cute card for our clients! Hope you enjoy!